I would like to visit London, where I stayed in 2003. 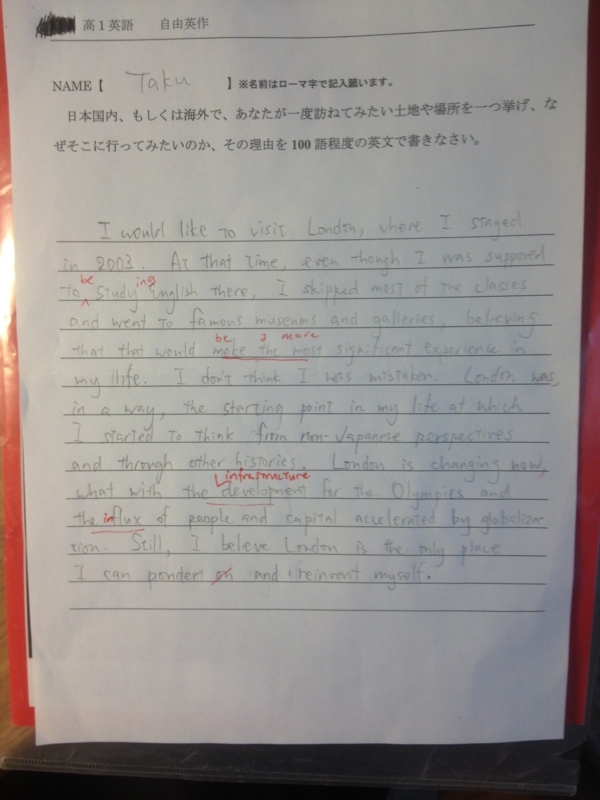 At that time, even though I was supposed to study to be studying English there, I skipped most of the classes and went to famous museums and galleries, believing that that would make the most be a more significant experience in my life. I don’t think I was mistaken. London was, in a way, the starting point in my life at which I started to think from non-Japanese perspectives and through other histories. London is changing now, what with the infrastructure development for the Olympics and the influx of people and capital accelerated by globalization. Still, I believe London is the only place I can ponder on and reinvent myself.